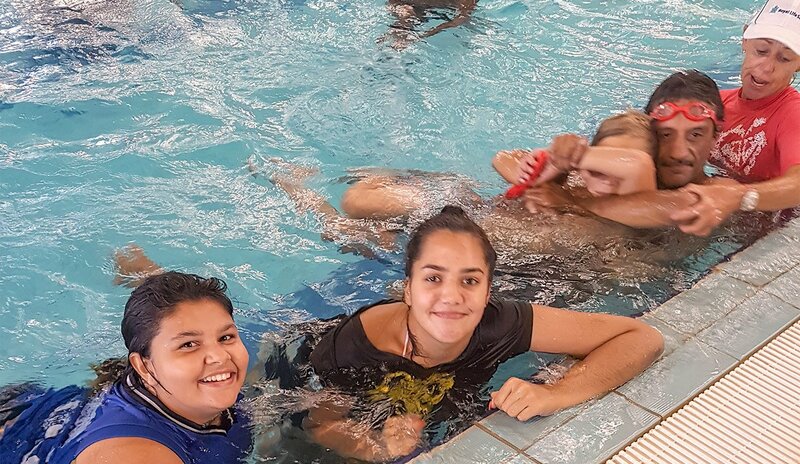 Peer Ambassadors and coaches of the Kaat Koort n Hoops basketball wellbeing program attended a 6 week training program and after which were assessed. 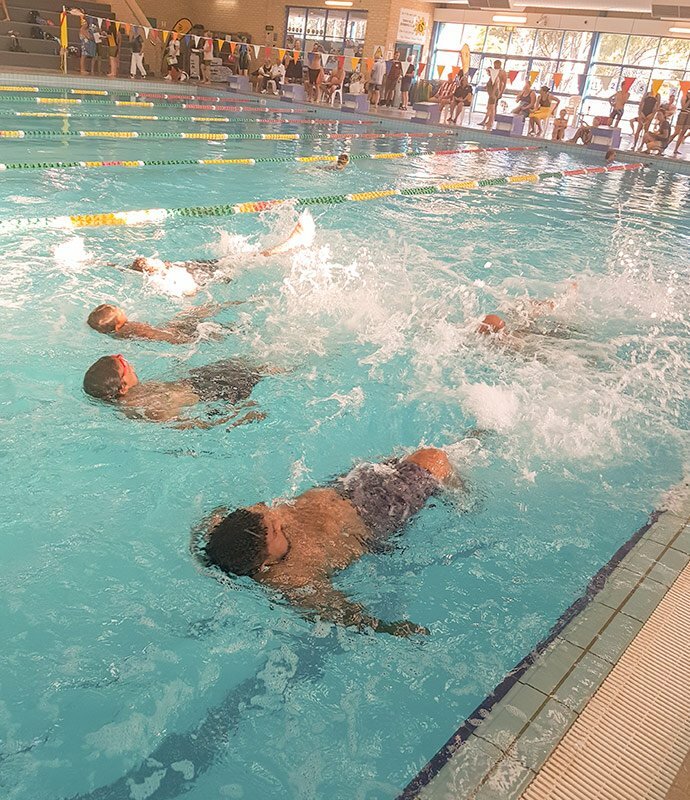 Participants included females and males aged 9-45 years. 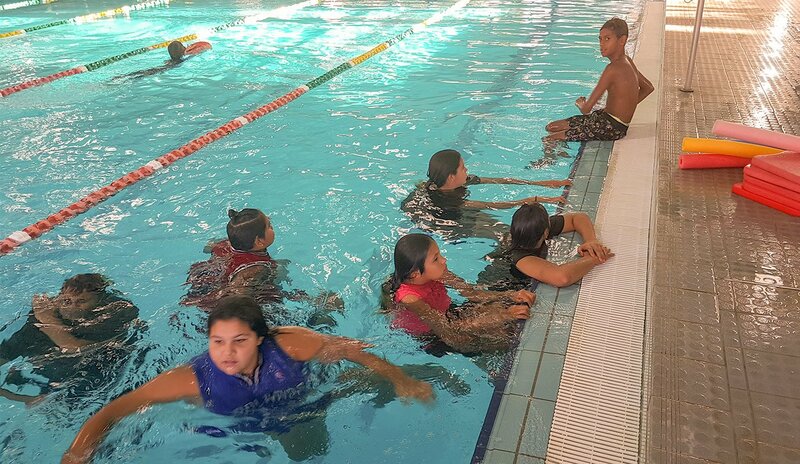 The outcome was all 16 participants received their Bronze Star with 6 receiving an additional Bronze Medallion. 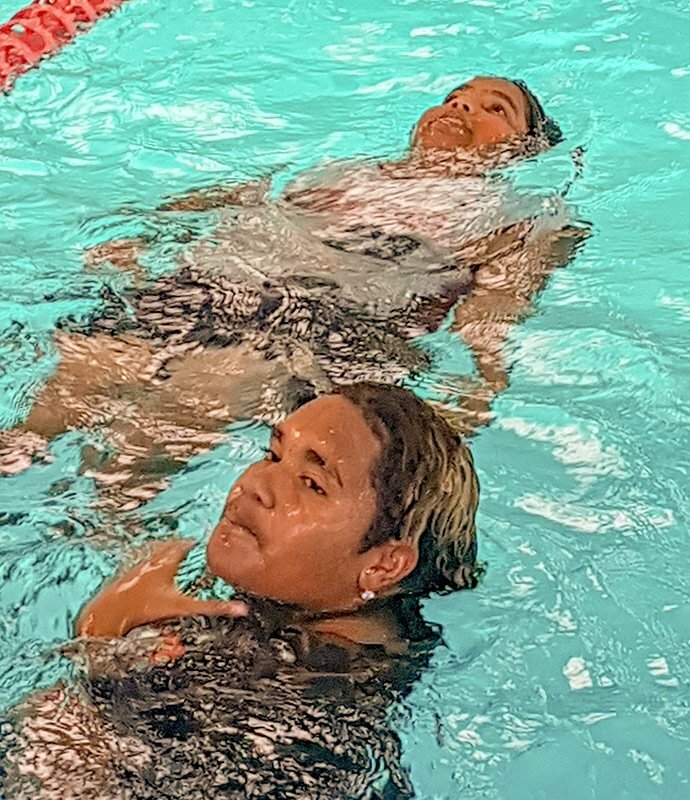 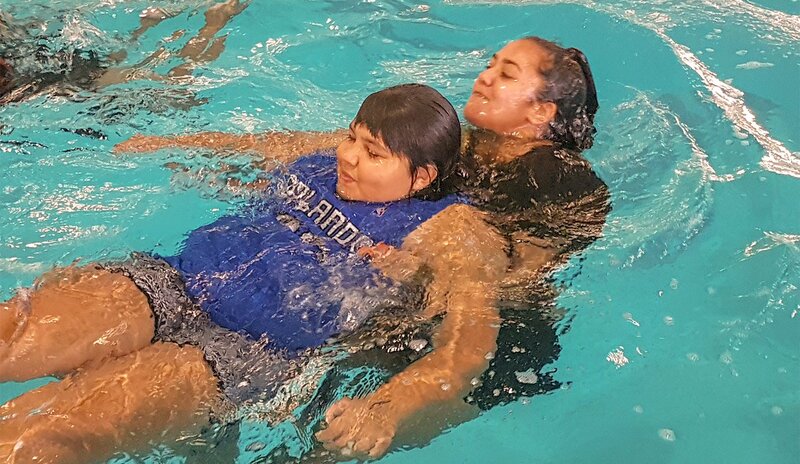 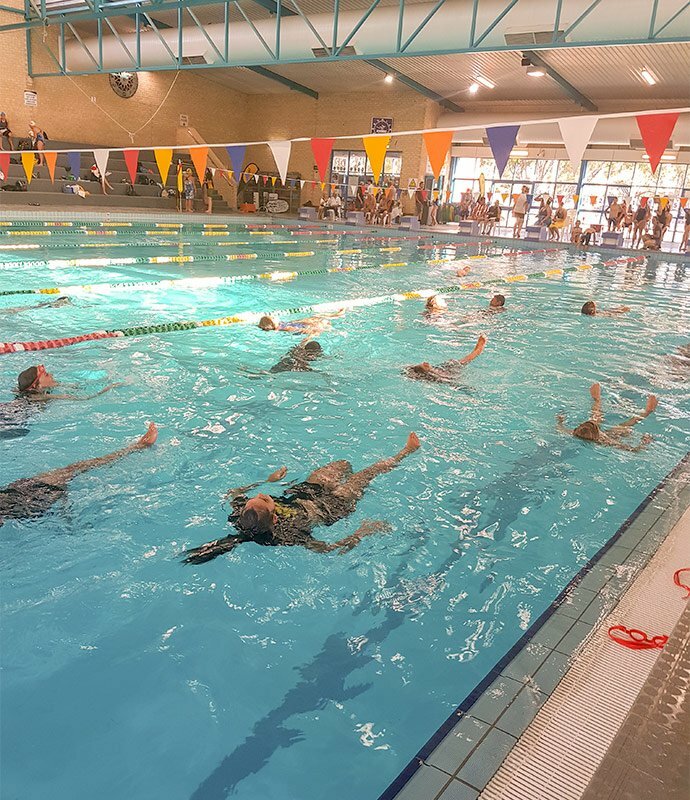 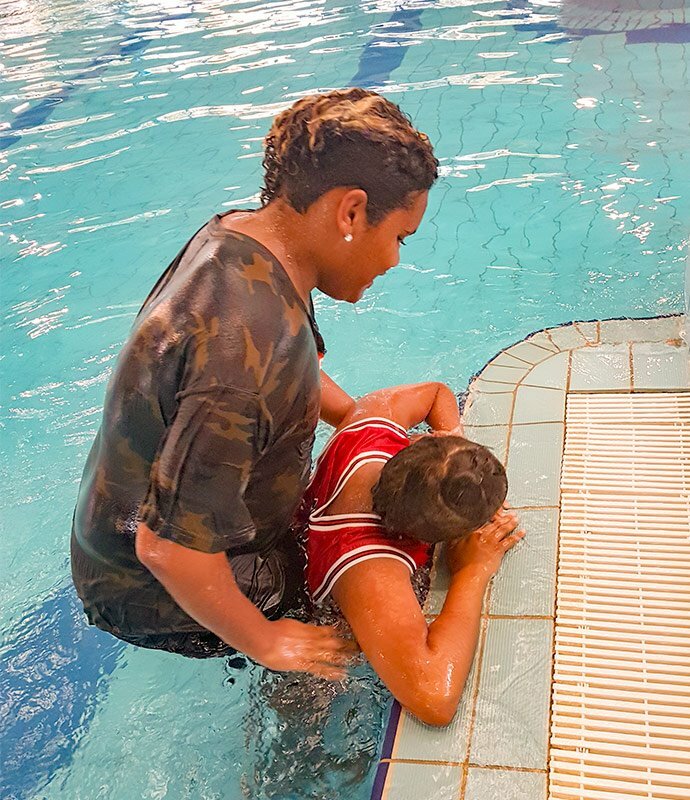 Our swim safe instructor Kyle was fabulous to work with and she was supported by Kaat Koort n Hoops Director, Professor Cheryl Kickett-Tucker, KKnH Coodinator Darlene Davis and KKnH Blazerz Coach, Bryn Reed.